We were lucky enough to visit Peru this summer. 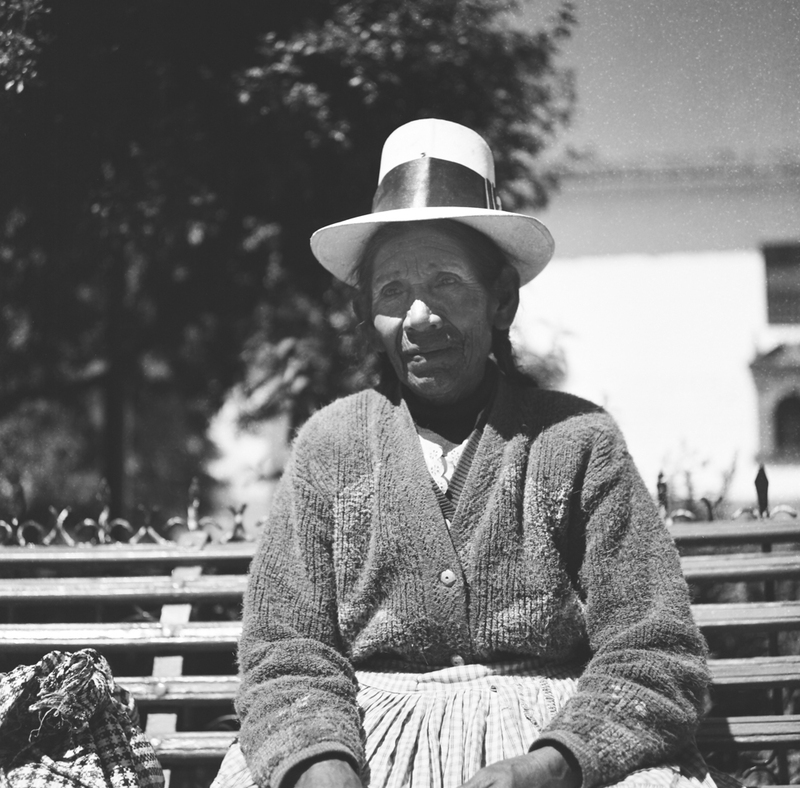 This woman sat outside our hotel in Cusco every day, all day, and that sad, faraway look in her eyes still haunts me now. She wasn’t begging, exactly; it was almost like she just sat there out of habit. She was resigned, but she was also proud. Whilst others ran after us begging us to take their picture with cute baby limas and kids in papooses, all dressed in their finery, she would sit, and wait. I don’t often take portraits of strangers. I’m far too British and generally worried about embarrassing or inconveniencing people, but I decided to ask her on a whim. She said no at first – I respected that and walked away. She looked so tired and weary of being an object of the intrusive tourist gaze that I felt instantly ashamed, but at that moment my husband was buying a piece of art from a street vendor who worked his patch next to her and he saw and came over, persuading her to agree, so I paid and quickly took my shot, then thanked her. It was a bit of a rushed job: no light meter or tripod and the framing is a little off. I wish I had included her hands. I think there may be some light leakage which explains the weird specks. My rollei is so old and battered now it doesn’t perform at its best and the winding mechanism frequently gets stuck, but I persevere with it. So in the end, I got the shot, I suppose, although, taking this picture of this woman made me sadder than taking any other picture I have ever taken.